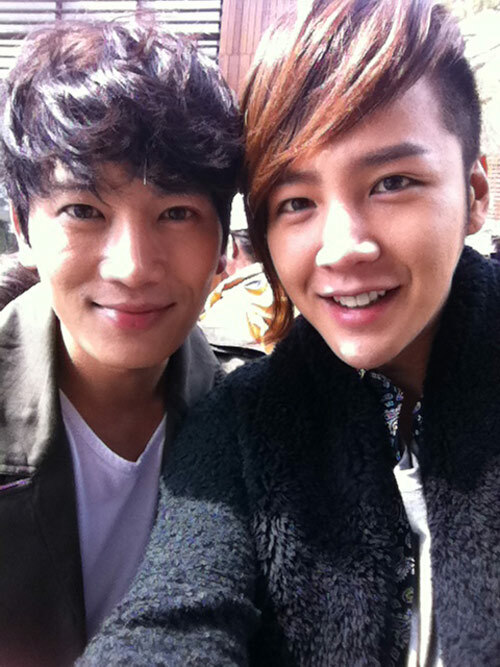 Actor Ji Sung visited the shooting scene of Love Rain to cheer for Jang Geun Suk. 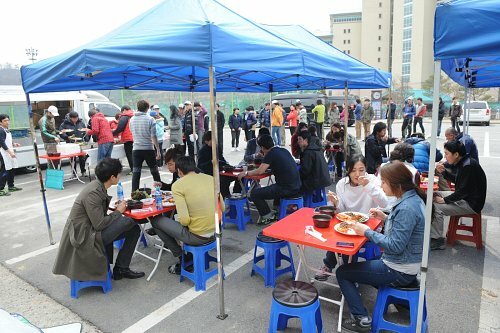 On March 29th, 2012, Ji Sung brought along the gift of delicious food for 100 persons to visit the shooting scene of Love Rain at Gyeonggi Province, surprising the cast members and crew members. The visit was specially done by Ji Sung to support and encourage his good friend and good brother, Jang Geun Suk. As the visit was unannounced beforehand, Jang Geun Suk was surprised yet happy. Despite the busy schedule of both persons, they still sat together to eat, earning the jealousy of the crews on the scene. Last year, when Ji Sung was filming Protect the Boss, Jang Geun Suk had sent the fried chicken to the production team as gift. Thus, this time it can be considered as return of favor by Ji Sung.